In the beginning there was the Holocaust. We must therefore start all over again. We must write a new Talmud, just as we did after the destruction of the Second Temple. We did so then in order to accentuate the new beginning: until then we lived one way; from then on we had to undergo changes. I go through the gate of the camp showing the pass I was given. I walk slowly for about a kilometer and see a field surrounded with trees, not far from the highway. Lilac trees are flowering. I pluck a leaf of elder and put the stalk in my mouth. I spread my coat under a tree and lie down. Rays of sun filter through the leaves and cast golden spots on the red moss. An ant runs onto my hand. As it comes to the end of my finger, I put another finger there to form a bridge and the ant runs from one to the other. As I drop the ant to the ground, a grasshopper leaps from a stalk just in front of the ant. The stalk is still trembling when a yellow field butterfly comes to rest on its leaf. It stops fluttering its speckled wings and folds them gently together. I feel the warm rays of the sun on my face and inhale the sweet scent of the lilacs. How good it is to be alive! The past is only a horrible dream from which I have awakened. Reality is this moment, the scent of the lilacs, the drifting clouds, the softness of the moss. 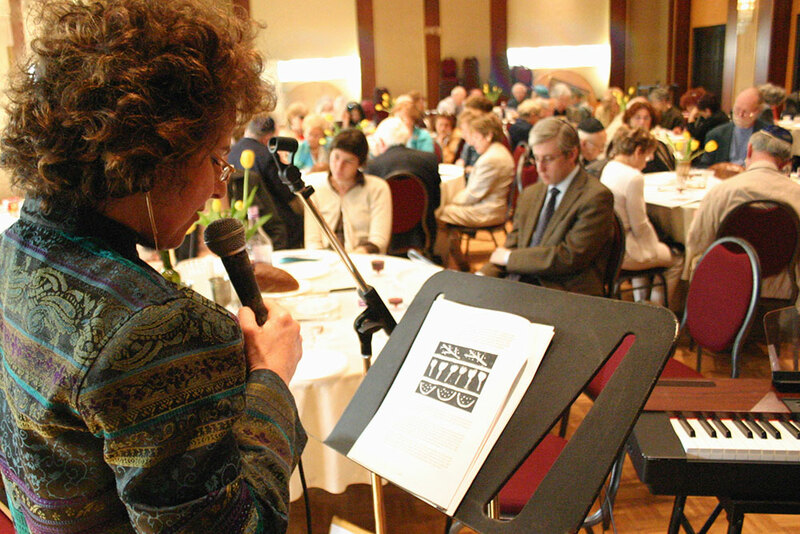 For twenty-five years, a group of Second Generation and Child Survivors of the Holocaust, along with families and friends, have come together once a year to commemorate Yom HaShoah — Holocaust Memorial Day — in a special ceremony they called The Third Seder. 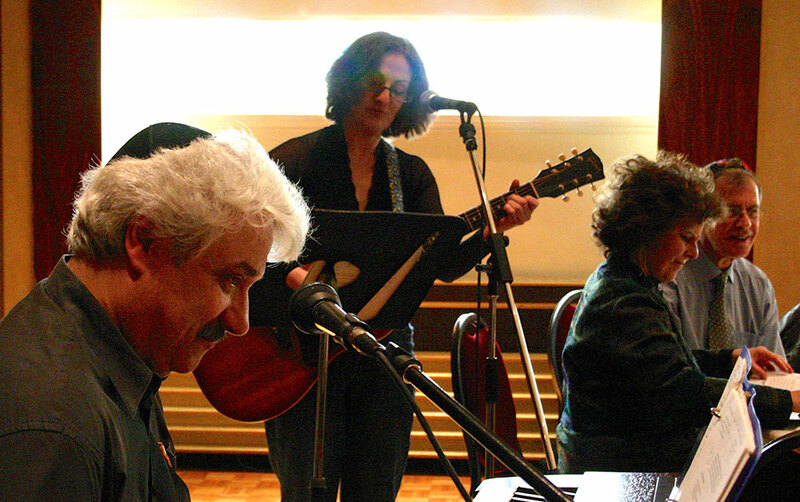 Echoing the Passover Seder, it features readings of contemporary and traditional texts and songs, accompanied by singers and musicians and a lot of storytelling. 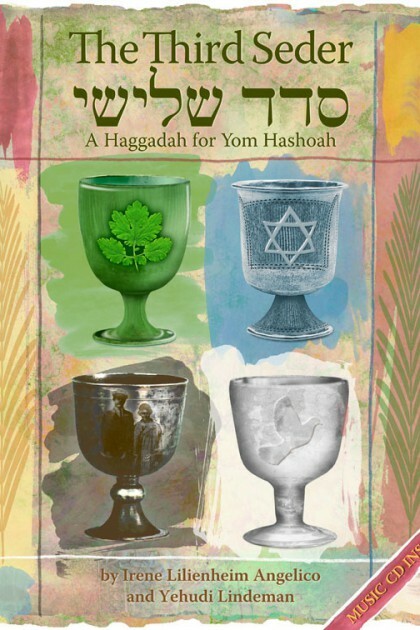 Irene Lilienheim Angelico, a child of Survivors and Yehudi Lindeman, a child Survivor, edited this egalitarian Haggadah — adding, and refining the readings for each Seder, and creating new rituals uniquely for the commemoration of Yom HaShoah. 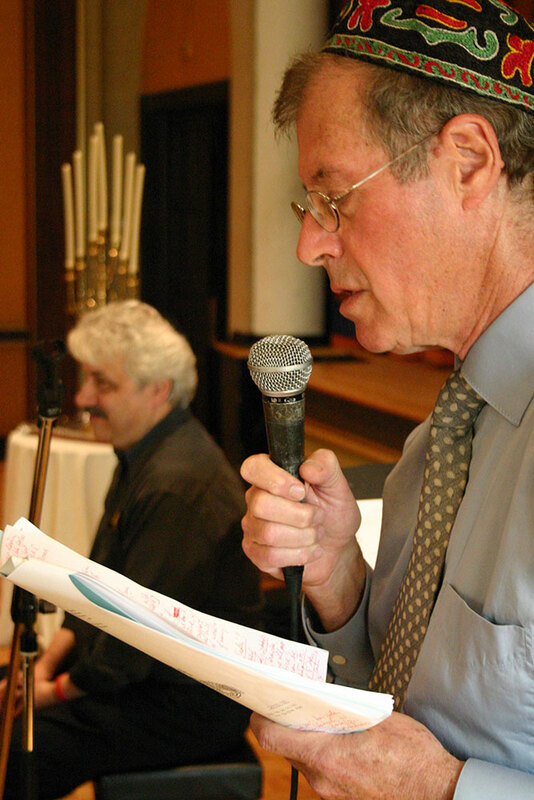 Three years ago, Angelico and Lindeman contacted Simon Dardick of Véhicule Press who agreed readily to publish this important haggadah in two editions — one with a CD of songs recorded in English, Hebrew and Yiddish. After searching worldwide for an artist to illustrate the text, Dardick suggested Montreal artist J.W. Stewart. Drawing on images and Survivor’s records, Stewart created stunning contemporary full-color illustrations throughout The Third Seder. 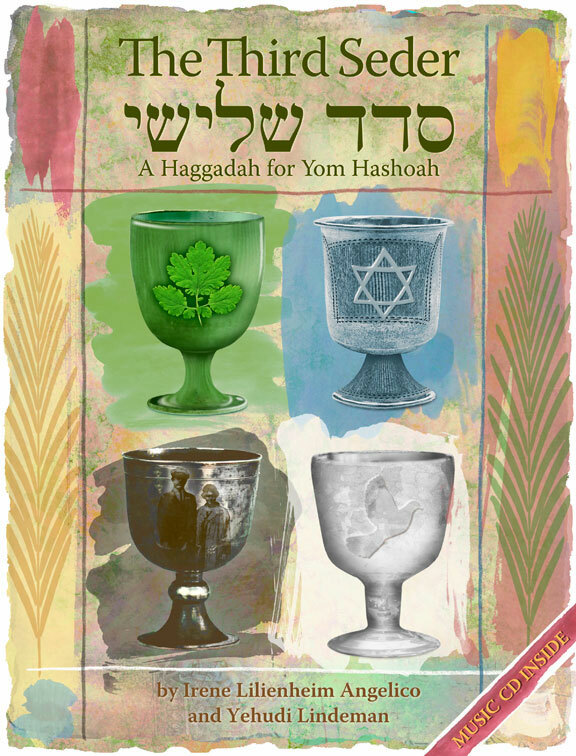 The Third Seder: A Haggadah for Yom HaShoah is now available for individuals and groups worldwide who are seeking a way to commemorate the liberation from the Holocaust. In his foreword to The Third Seder, Rabbi Arthur Waskow says there are two paths we need to take to commemorate the Shoah. One is to turn our own pain into a pointer about the dangers that afflict all peoples and the web of life on our planet. Then we become teachers, not victims. The second is to celebrate life after staring death in the face — as the Survivors did. 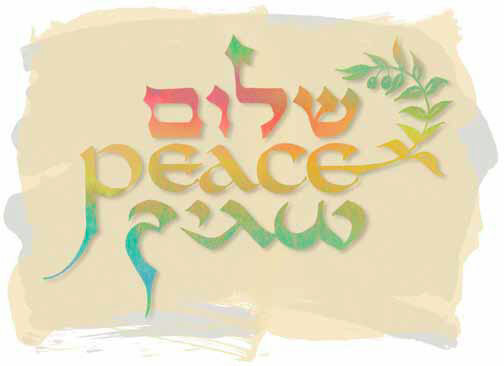 And so in this haggadah we do both: We sing, dance, laugh, share and love. A thoughtful, sensitive and moving integration of the darkest chapter of Jewish history into our religious ritual so as to make the searing remembrance of the Holocaust an indelible part of our consciousness. 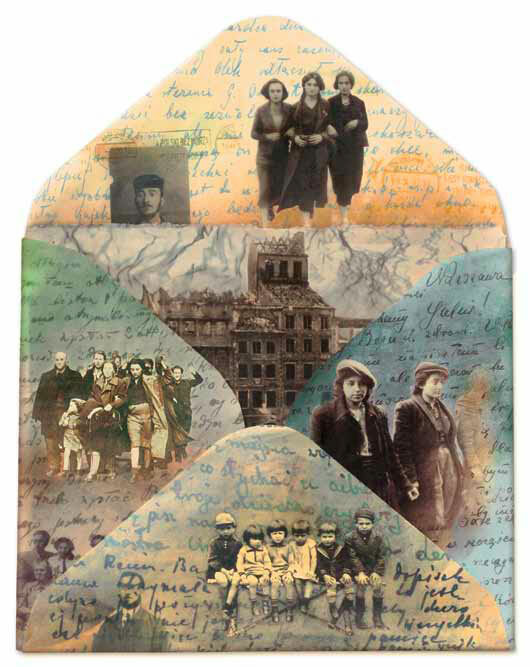 This beautiful compendium of visual art, poetry and prose is an example of the creativity with which Jews have responded through the ages to persecution and injustice. 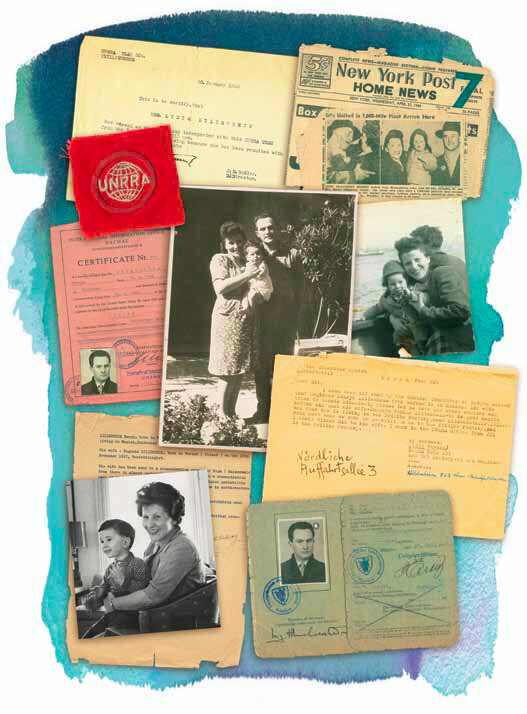 This is a moving melange of Haggadic and Holocaust remembrance joined together in text, imagery, and a song… and an inspired read for Holocaust survivors, families, friends, and the broader community. 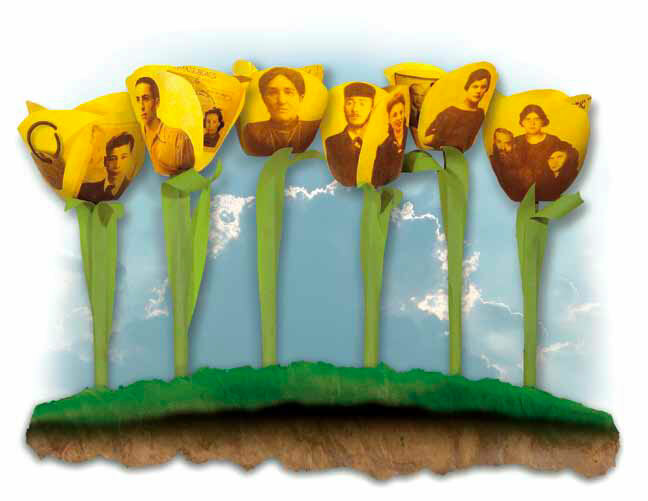 This Haggadah for Yom HaShoah is a beautiful tribute to the memory of the Holocaust, to its victims and survivors, and to Jewish traditions that link past, present, and future. Wherefore is this seder different from all other seders? Irene Angelico has written, directed and produced documentaries, which have garnered critical acclaim and international awards. They have been shown in over fifty countries around the word. Her documentaries include: Dark Lullabies, Entre Solitude, The Cola Conquest, Black Coffee, Unbreakable Minds, Vendetta Song, Canadaville, USA and Inside the Great Magazines. Her works were selected to represent the best of the NFB at retrospectives in London and France, and included in The Fifty Greatest Documentaries of all Times at the prestigious international Salute to the Documentary. Angelico was co-editor of The Aftermath: A Survivor's Odyssey Through War-Torn Europe, a manuscript written by her father Henry Lilienheim and endorsed by Nobel Peace Prize Laureates Elie Wiesel and the Dalai Lama. Yehudi Lindeman, a child survivor of the Holocaust, was separated from his family in the fall of 1942 and spent the next thirty months in hiding in about fifteen different locations in rural Holland. He holds an advanced degree from the University of Amsterdam and a Ph.D. in Comparative Literature from Harvard University. He is a retired Professor of English at McGill University and the founder and past Director of Living Testimonies, the Holocaust Video Archive at McGill. He is also a co-founder, in the 1990s, of the World Federation of Jewish Child Survivors of the Holocaust. Lindeman has published on a wide range of subjects, from topics in Renaissance poetry and translation to issues surrounding resistance and rescue during the Shoah. 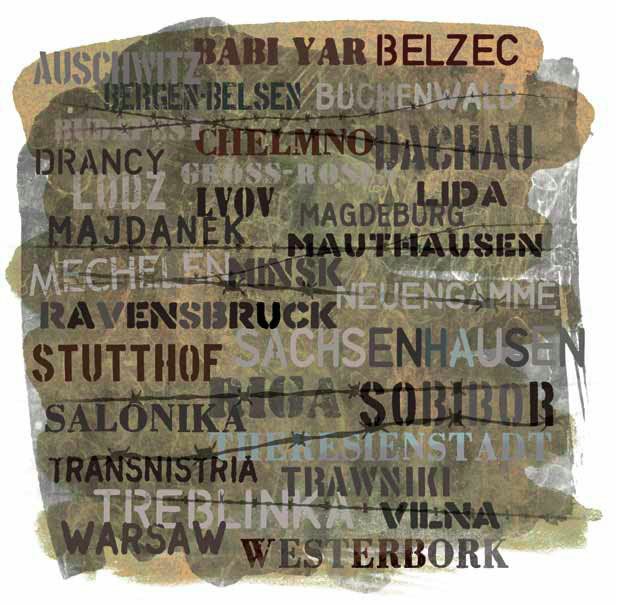 His most recent book is “Shards of Memory: Narratives of Holocaust Survival” (Praeger, 2007).